SAN FRANCISCO, Sept. 14, 2018 /PRNewswire/ — Metallicus Inc., a blockchain-based payment processing platform, today announced the launch of its flagship product Metal Pay. 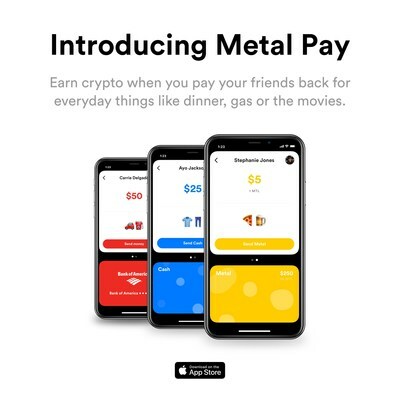 Metal Pay allows people to instantly send money to friends, family and businesses with just a phone number and rewards them with some cryptocurrency for each transaction — think next-generation Venmo or Paypal. 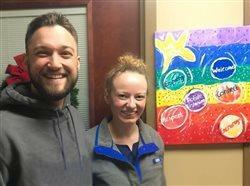 These rewards, called “Pop,” are delivered in Metal’s cryptocurrency MTL and can be immediately converted into dollars, sent to another Metal Pay user or held as an investment. Metal will later link Metal Pay with their equally beautiful micro investing app Crumbs. Crumbs will allow users to turn their spare change into micro investments, like the popular app Acorns, but with cryptocurrency.